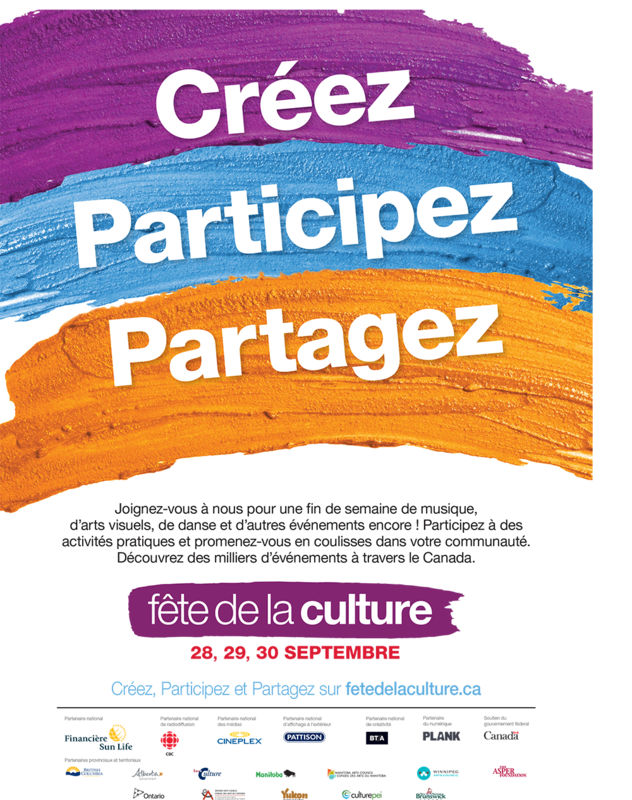 Fête de la culture 2018 – Inscrivez-vous maintenant! “Le décompte est commencé. Inscrivez-vous maintenant! Nos sondages démontrent que les organisateurs s’inscrivant avant la fin juillet remportent le plus haut taux de succès. Publier tôt signifie que les autres organisateurs de votre secteur verront votre évènement, ce qui pourrait mener à des partenariats profitables. Maximiser la campagne collective de marketing et de RP de la Fête de la culture, évaluée à plus de 6 M$, incluant des médias sociaux, des documents marketing adaptables et plus encore. Augmentez vos chances que votre évènement soit mis en vedette dans les pages de la Fête de la culture. Vous planifiez un pôle ou un corridor? Donnez-nous tous les détails avant le 31 juillet pour être admissible à obtenir votre propre page sur mesure dans notre site web. The Countdown is On. Register Now! Our surveys reveal that the majority of organizers who register before the end of July report the highest rates of success. Publishing early means other organizers in your area will see your event, which could lead to valuable partnerships. Leverage the collective Culture Days Marketing & PR campaigns, valued at over $6 million with social media, marketing templates and more. Increase your chances of being a Featured Event on the Culture Days homepage. Planning a Hub or Corridor? Submit your details to Culture Days before July 31st to be eligible for your very own customized page on their website. Register Your Culture Days Activity Now! Le décompte est commencé. Inscrivez-vous maintenant! “Culture Days 2017 takes place September 29th through October 1st, and is poised to showcase thousands of opportunities for Canadians to express what culture means to them. Hundreds of rural and urban communities alike offer a diverse series of events for the public to experience rare-access, behind-the-scenes, and hands-on arts and culture activities – and all for free. “La Fondation Michaëlle Jean (FMJF) et le Musée des Beaux-arts de Montréal (MBAM) vous invitent à présenter une communication au FORUM LE POUVOIR DES ARTS : LES ARTS, DES ARMES POUR LA PAIX qui se tiendra du 16 au 18 février 2018 au MBAM. 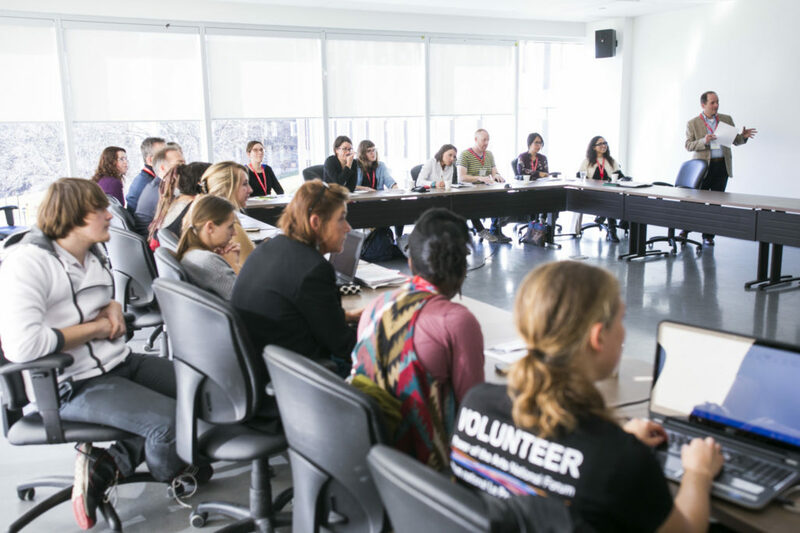 “The Michaëlle Jean Foundation and the Montréal Museum of Fine Arts (MMFA) invite you to submit a proposal to deliver a presentation at the upcoming POWER OF THE ARTS FORUM: LEVERAGING THE ARTS AS WEAPONS FOR PEACE, which will take place February 16 to 18, 2018, at the Museum. Canadians are invited to fall in love with arts and culture during Culture Days. From September 30 to October 2, the 7th annual Culture Days weekend will offer participants an eclectic range of free, rare-access, and hands-on arts and culture activities available locally. Culture Days exists to create a Canada where culture connects us all to see and do more. 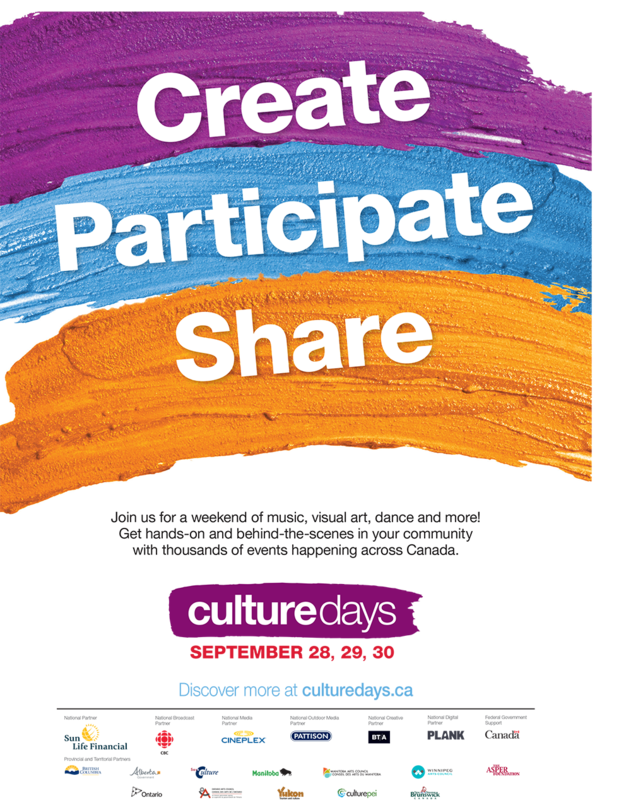 Founded in 2009, Culture Days is a non-profit organization dedicated to building a national network of cultural connections devoted to providing Canadians with opportunities to participate in, and appreciate, all forms of arts and culture. 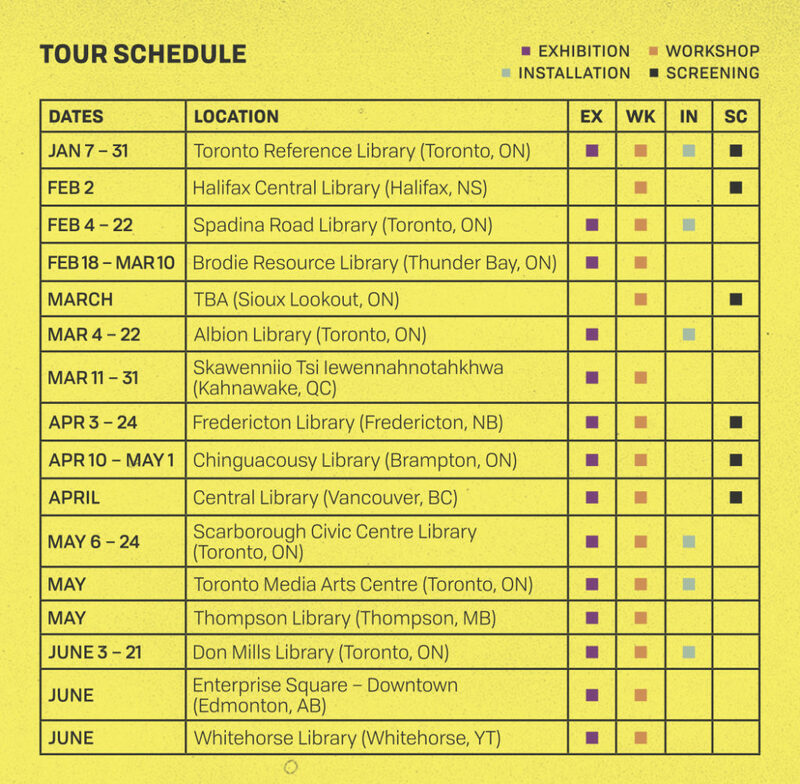 Through an annual three-day national celebration each September, hundreds of thousands of artists and cultural organizations in hundreds of cities and towns come together and invite Canadians to participate in free interactive and behind-the-scenes activities to discover their cultural spirit and passion. Culture Days was initiated by Founding Partners The Canadian Arts Summit, Culture pour tous (producer of Journé es de la culture in Québec), the Canada Council for the Arts and The Banff Centre. National Partner is Sun Life Financial. National Broadcast Partner is Bell Media (CTV) and National Communications Partner is St. Joseph Communications. National Creative Partner is BT/A and National Digital Partner is Plank. Cineplex Media is an official partner of the Share Your Love of Culture contest. Federal Government support is provided by the Department of Canadian Heritage. Provincial Partners are: Government of British Columbia, Government of Alberta, SaskCulture, Government of Manitoba, Manitoba Arts Council, Winnipeg Arts Council, The Asper Foundation, Government of Ontario, Ontario Arts Council, Ontario Trillium Foundation, Ontario Cultural Attractions Fund, Government of Québec, Government of New Brunswick, Government of Nova Scotia, Government of Prince Edward Island, Government of Newfoundland & Labrador, and the Government of the Northwest Territories.